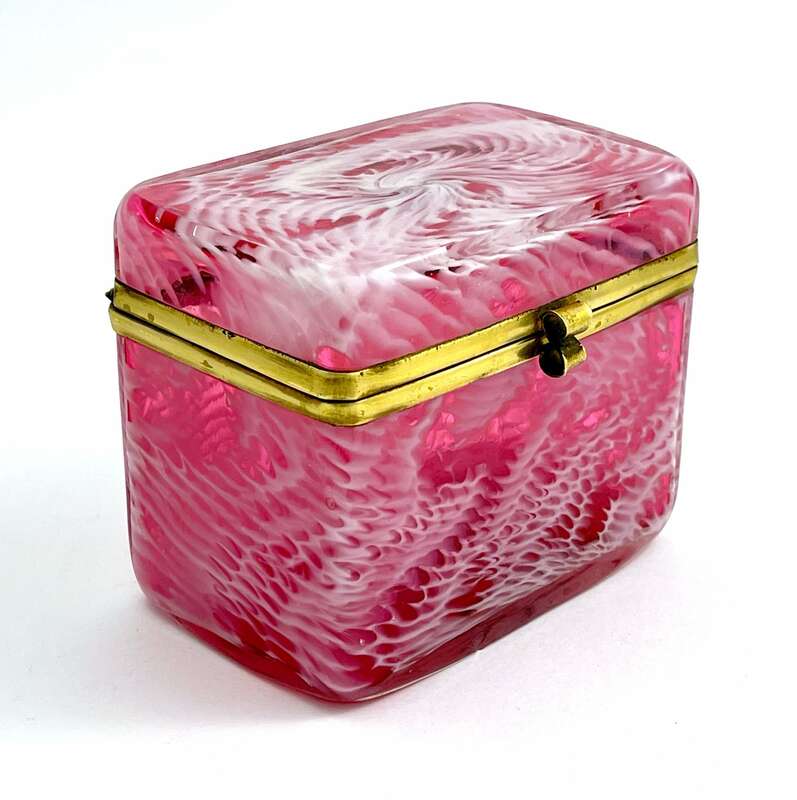 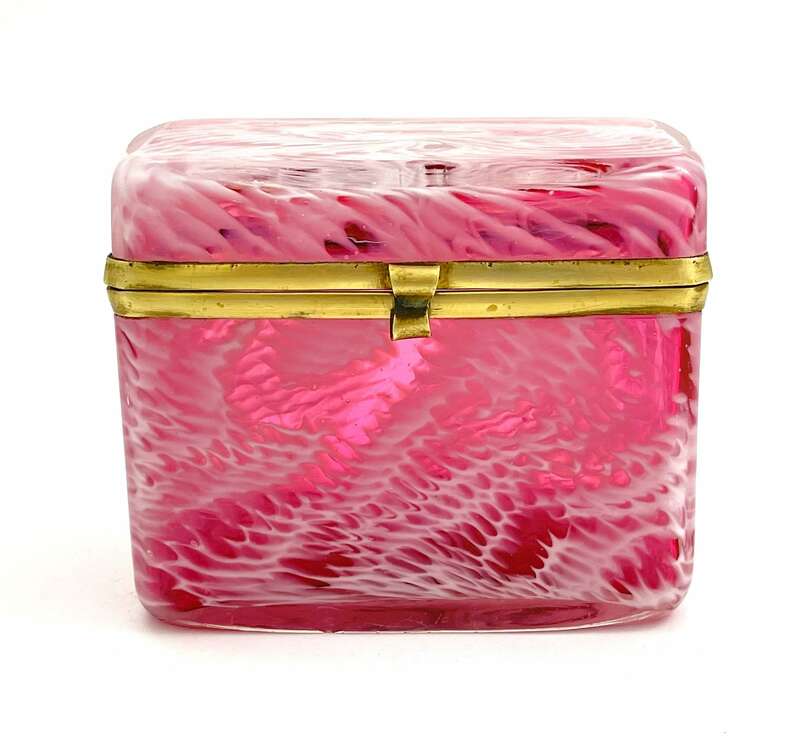 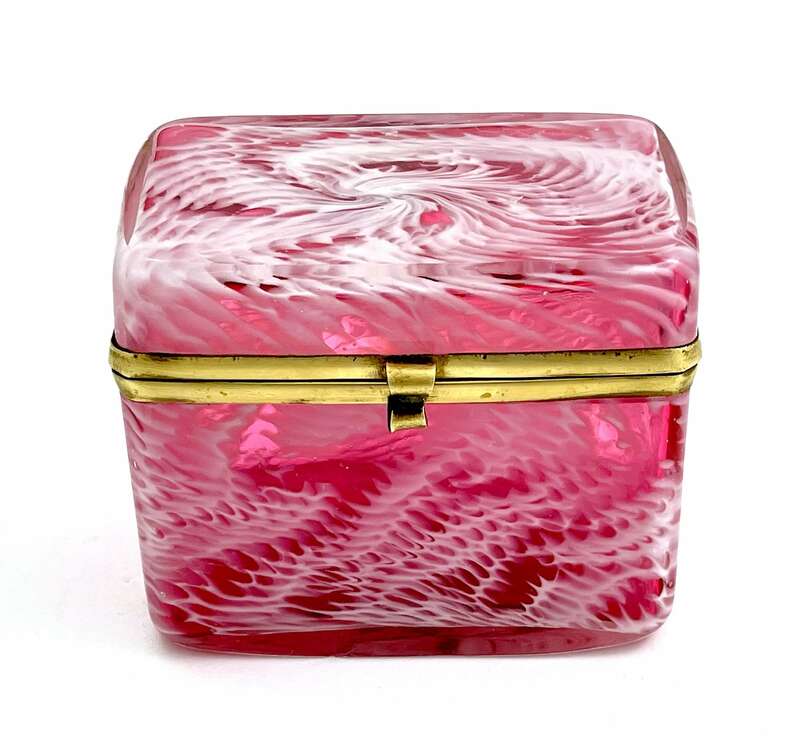 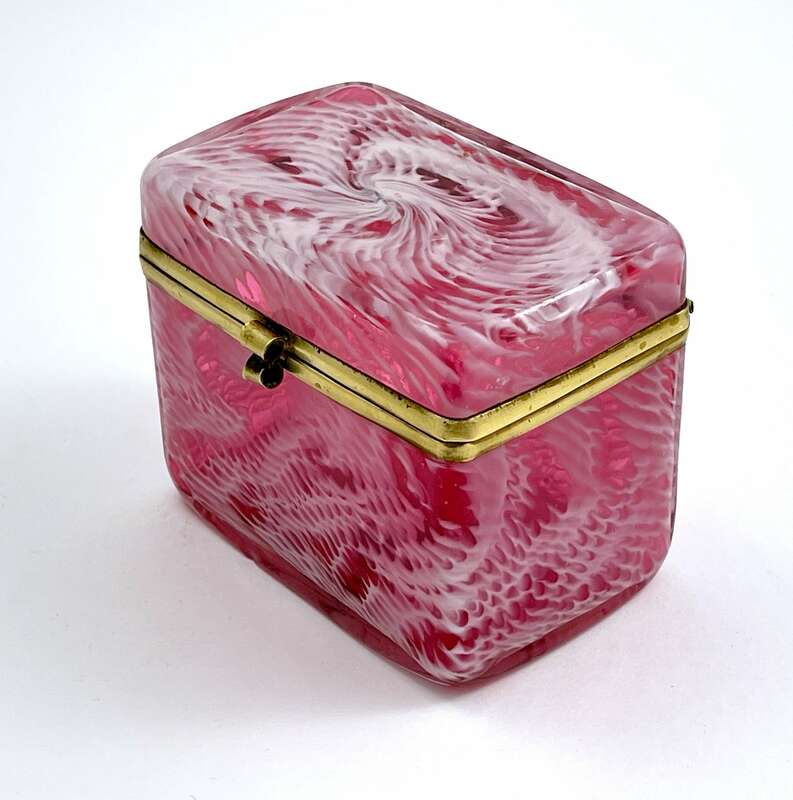 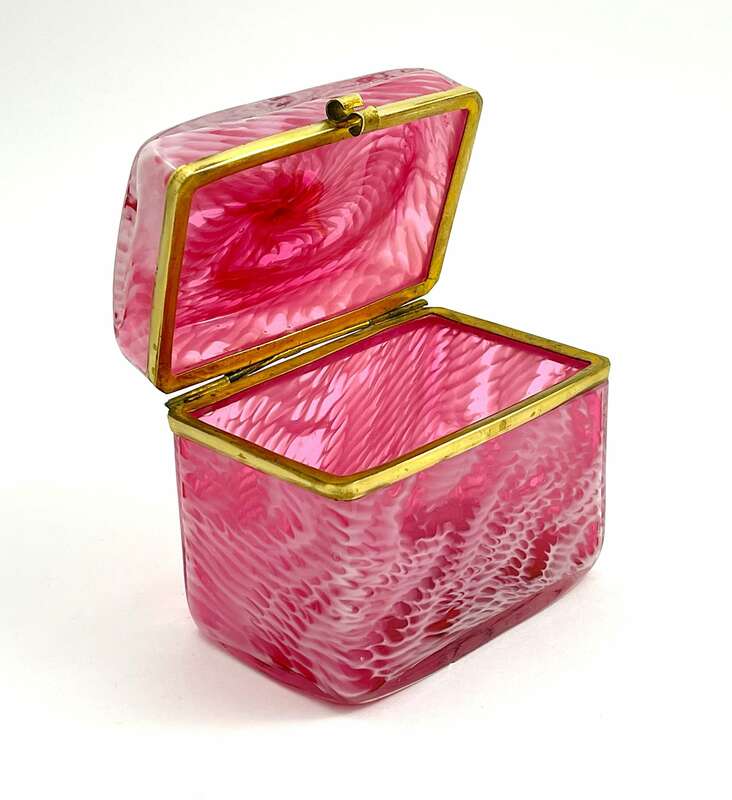 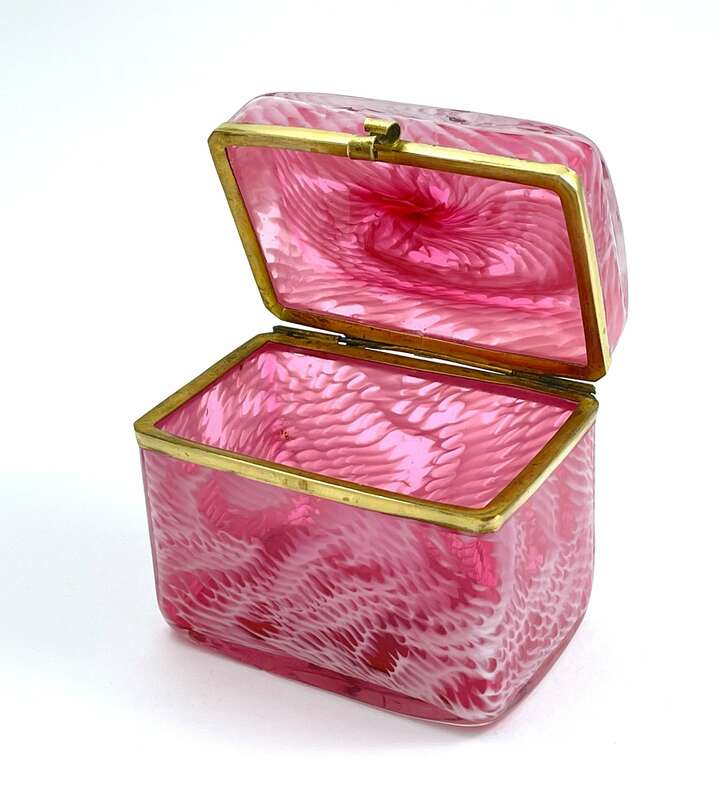 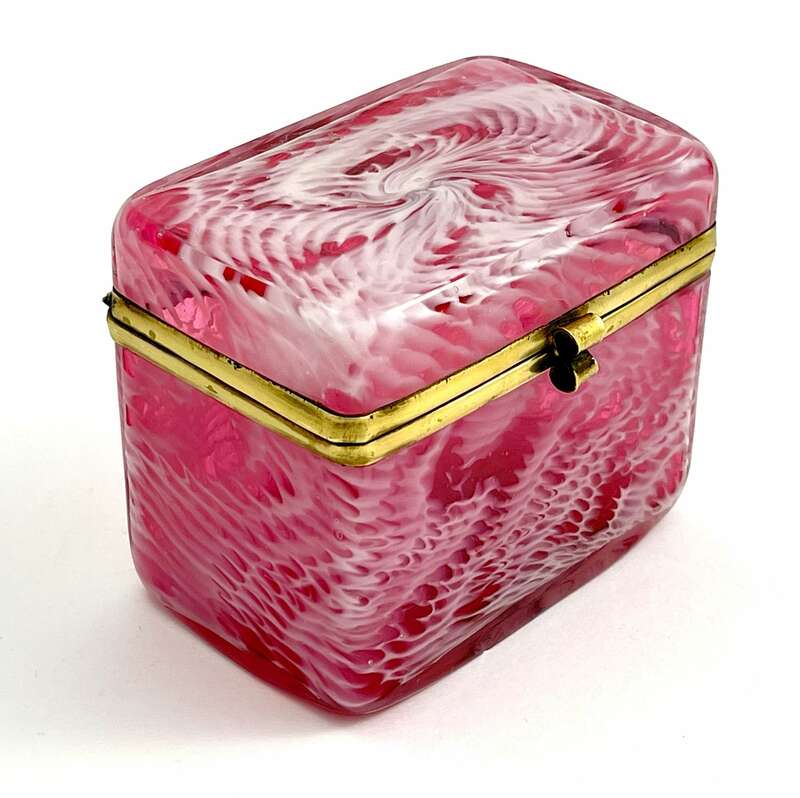 RARE Antique French CLICHY Casket in Pink Cranberry Glass with White Swirls. 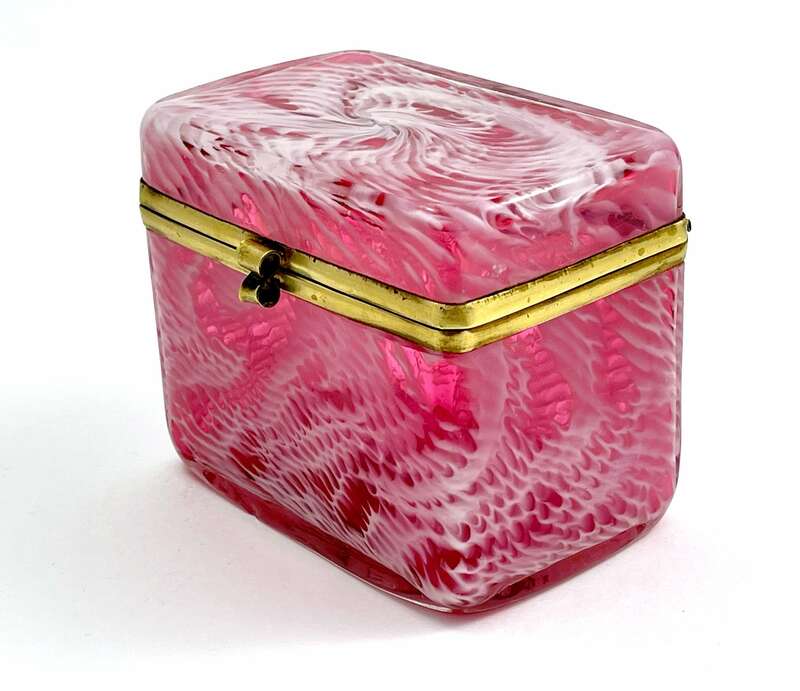 The Cristalleries de Clichy was founded by Rouyer & Maes in 1837 at Billancourt (Pont de Sevres) and the moved to Clichy in 1839. 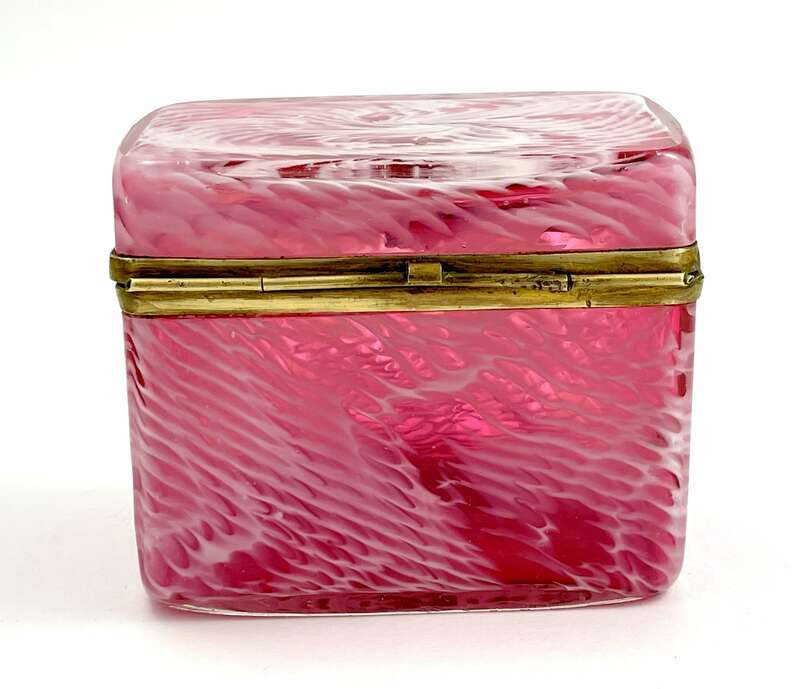 Known for High Quality Crystal. 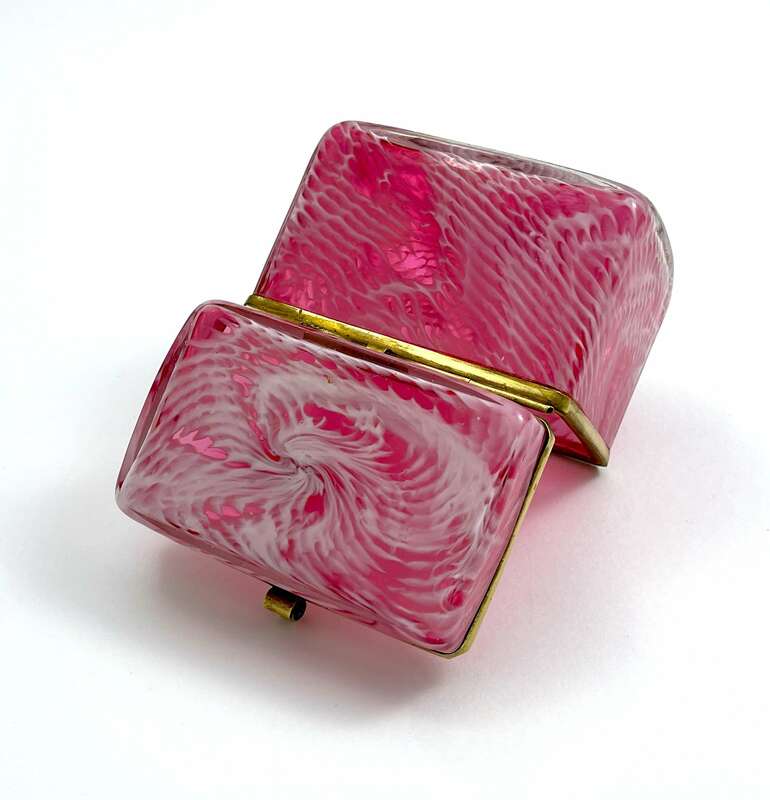 Gilded Bronze Mounts and S Shaped Clasp.